As a team we believe in investing in the future of NZ companies and making a difference! The GMC team are all successful business professionals who choose to operate in a number of business environments for lifestyle, mental stimulation and maximum impact. We have assembled some of the best business owners and idea generators who are driven to produce real results for our customers. We have joint forces to provide growing companies the best possible advice from practitioners who have hands on experience both with technology and business innovation. For us it's about achieving results rather than just talk. Our "real results" include both your bottom line financial performance and development of effective people friendly work cultures. 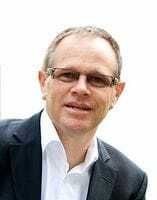 Mark Robotham is the principal of Growth Management Consulting (GMC) Limited. He is a business advisor and facilitator with over 20 years of leadership and export marketing experience. His passion is working with high growth potential companies, developing effective pitches, business strategy and governance models. Mark Robotham has built a reputation as an inspirational person who can break complex situations and technology down to succinct pragmatic messages, strategy and execution. Using his passion and pace to inspire others to achieve. Check out the GMC Cycling Team at our next event or a cafe near you!